An unnatural disaster is devastating the Darfur region of Sudan, where civilians are fleeing in terror from government-supported mass killings. Thousands are dead and millions have been forced from their homes. Millions more are at risk. In 2005, Human Rights Watch investigators began giving children paper and crayons to keep them occupied while they gathered testimony from the children’s parents. Without any instruction, the children drew harrowing and heartbreaking accounts of what they had witnessed: brutal attacks by the government-sponsored militias known as Janjaweed, indiscriminate aerial bombings by Sudanese government forces, shootings, burning of entire villages and flight to Chad. Photographer Paolo Pellegrin traveled to Sudan first in 2005, and again in 2007, to expose the consequences of the ongoing human rights crimes fueling this catastrophe. 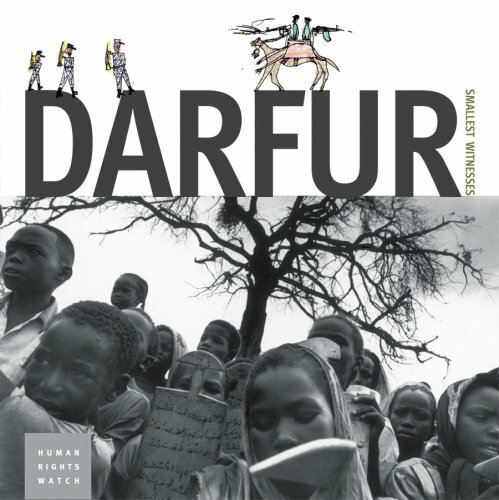 Now, Human Rights Watch combines these graphic accounts in Darfur: Smallest Witnesses, featuring an introduction by Nicholas Kristof and firsthand accounts and essays by Human Rights Watch investigators.